Anonymous Email – What Are They And Why Do We Need Them? There are multiple reasons why a person wishes to hide his identity in the online world. Some don’t want to put their security at risk. Some wish to ensure their online privacy. However, some just want to keep online advertisers at a bay. One effective way to remain anonymous on the internet is through the use of Virtual Private Network, or VPN. VPNs are an easy, efficient and cheap way to protect yourself online. Emails are intrinsic to our work online, and protection by using anonymous email is a big part of online safety. In fact, October was the Cyber Security Awareness Month. It was a worldwide bid to launch several initiatives that spread awareness about online security. Additionally, people were made aware about the measures that can help them stay safe. As the name suggests, an anonymous email is one where the recipient cannot view the sender’s IP and personal information. Hence, the recipient remains unaware of the sender’s identity. In such cases, your ID cannot be harvested by a third party without your knowledge. The process of sending an anonymous email involves directing the mail to the recipient through a third party server which does not identify the originator of the message. It sets up a virtual private network. It moves the message through a decentralized, encrypted peer-to-peer relay process where each user is also a relay point. This system of relay points is set up using a VPN router. This way, it loses the original sender’s identity. It is because each node knows where the packet has just come from and where it is going immediately next, but not the original source or the ultimate destination. If we talk about a regular usage, there is no real limitation to anonymous email services. Because VPNs are relaying the message, there is no territorial boundary either. The anonymity ensures there is no third party culpability. For example, you may be sitting in India and just as likely be using an Italian VPN, or an American VPN. The absence of any central hub makes it almost impossible to trace. There is, however, only speculation that your proxy servers will not log your IP and produce it upon subpoena. This is just to ensure that people do not have free reign to conduct illegal activities over the internet. Therefore, we see how it is possible to send and receive anonymous email to protect your information and mask your identity. In this regard, VPNs are a great way to withhold your identity online from potential harm. Le VPN guards your internet connection same as the firewall secures the data on your computer and within your network. 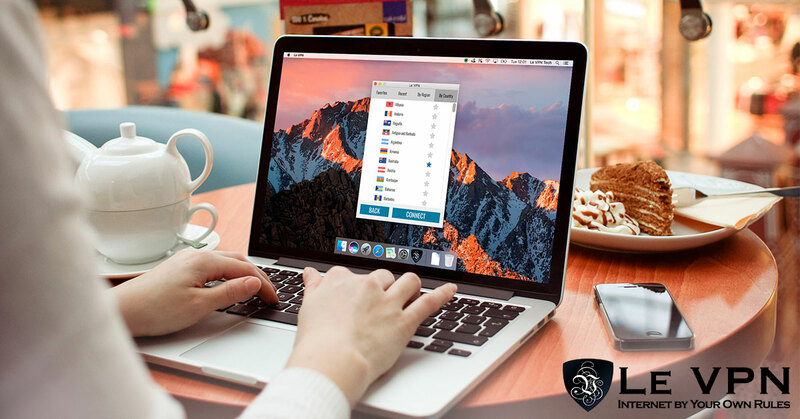 Le VPN encrypts your data in a way that your data is safe from online criminals. Additionally, Le VPN does not keep your browsing logs. This makes sure that user’s online footprint are kept secret. Le VPN masks your IP address. Thus, no one knows the true extent of your digital footprint. This also keeps you away from advertisers’ eyes and their repetitive efforts.